No Man’s Sky was an ambitious project by developer Hello Games. This space exploration adventure was met with mixed reviews by both critics and players. While it was praised for its relaxed atmosphere, many believed that it was not what the developer had promised. While we hear at Gigamax thoroughly enjoyed the game, it is hard to deny that the final project looks very different then what was shown to the press. Creatures do not interact with the environment, the story is not nearly as epic as they let on and it is completely devoid of any kind of multiplayer. Whether you loved this game or hated it, Gigamax is here to show you it’s latest Foundation Update! Join us as we travel planet to planet building bases and going over what’s new in this game changing update. We start our journey in space and show you how to set up your own homestead in No Man’s Sky. We also go over the different tools in the base building arsenal. Unfortunately Gigs did not have the credits needed to purchase a freighter but once he is done saving we’ll have a video of that ready for you guys! We hope all of you enjoy our relaxing look at the No Man’s Sky Foundation Update! 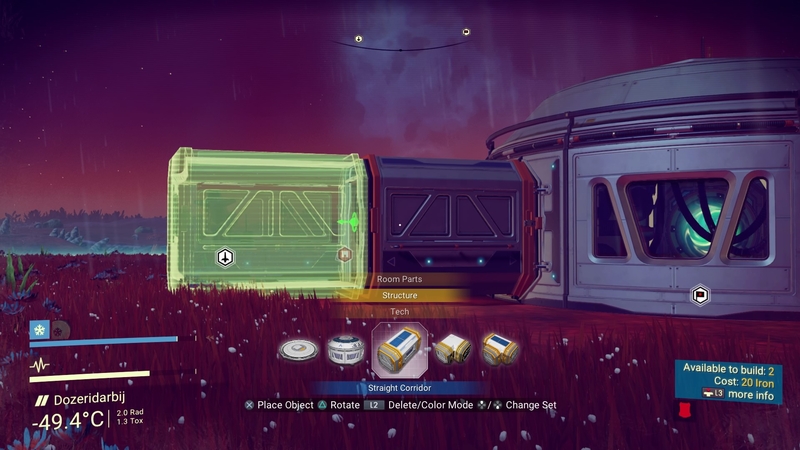 Hopefully Hello Games keeps releasing substantial updates to their game. Make sure to check back here at Gigamax when new updates are released because we guarantee a video will be up shortly after. Also check out our Youtube Channel where we cover all the latest in game releases. Our Twitch Channel is also pretty sweet, this is where you can get live footage of not only the latest releases but plenty of indie game coverage too!